Subaru of Niagara's New Dealership is Finally Here! Subaru of Niagara’s New Dealership is Finally Here! In 2012, Alex Digenis brought the established service model and sales expertise from his Henley Honda dealership to a new venture, located across the road: Subaru of Niagara. 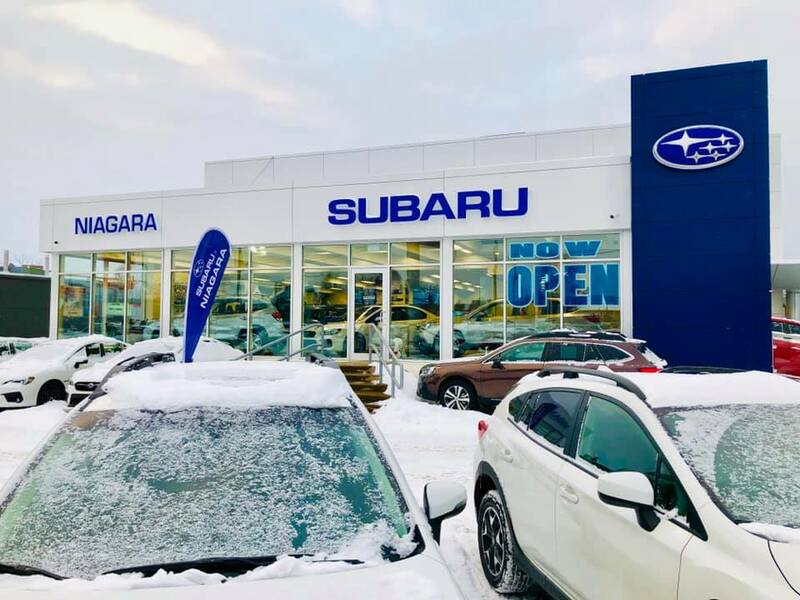 In the six years since the dealership first opened its doors, Subaru of Niagara has become a staple in the Niagara community, well-known for high-quality customer service and the vehicles they sell. This year, Subaru of Niagara is gearing up for the grand opening of their brand new dealership building at their Lake Street location. The construction, which began in 2017, never once served as a disruption for the dedicated Subaru of Niagara team. Working out of onsite trailers, the team has continued to serve their customer family while reaching record sales and delivering more Subarus to happy new customers than ever before. Above all else, the priority for the team at Subaru of Niagara is to look after what matters, and that means their customers, always. For all six active years, the focus at Subaru of Niagara has been on the customer and understanding what Subaru owners are looking for in a dealership. Their attention to those details, commitment to ensuring every customer interaction is a positive one, and passion for enhancing the dealership experience has earned them the rank of #1 in Ontario for Customer Satisfaction out of all Ontario Subaru dealerships for the last four consecutive years. The new building will include an enhanced sales area and showroom room for customers entering the dealership. The building also includes an expanded service area and parts department, for an even better service experience for Subaru customers. New additions to the dealership building include a brand new second floor of space, as well as additional available on-site parking to make visiting Subaru of Niagara easier. The building and all of these updates were done in an effort to make the customer experience at Subaru of Niagara easier, and more efficient. Those who visit the dealership will be met with a more spacious and easier to navigate building, making it easier for the team to service their needs more efficiently – whether those needs are sales or service based. Looking after what matters doesn’t just include looking after the customer while they are at the dealership. The Subaru brand has become synonymous with safety, style, and innovation, and the team at Subaru of Niagara is passionate and excited about the lineup of 2019 Subaru models, including the 2019 Subaru Forester, 2019 Subaru Outback, the 2019 Subaru Crosstrek, and the all-new 2019 Subaru Ascent, the brand’s reentry to the full-size SUV segment. Built on Subaru’s BOXER Engine with Symmetrical All-wheel Drive, Subaru owners know that there is nothing that compares to the driving experience and handling of being behind the wheel of a Subaru. To test for yourself, Subaru of Niagara invites you to visit the team at 375 Lake Street in St. Catharines serving the entire Niagara Region. The sales team will be happy to show you the new Subaru lineup as well as Subaru Certified Pre-owned vehicles on-site, and all of the innovative features that make Subaru a benchmark in automotive safety.